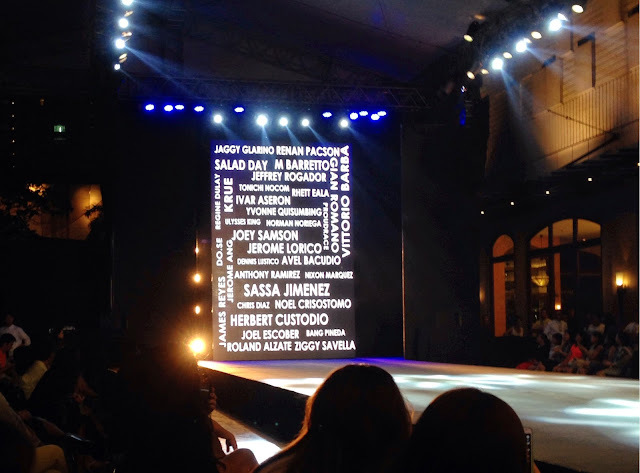 A toast to our designers, Philippine Fashion, Ayala Malls, and the Style Origin! Here are some of the clothes showcased at the Style Origin 2014's opening night. Sorry for all the side view shots, I was seated at an angle where you can't take front view photos, plus it was a struggle to avoid the heads, hehe! Or siguro excuse ko lang yun, haha, I was never good with pictures. ;p Nevertheless, I hope you will also appreciate all the details of these beautiful clothes (and styling!) by our local designers. Fashion is indeed alive and exciting here in the Philippines, most especially in the inspiring, experimental menswear department.